Hi everyone I'm Jack Red, despite how the original manga series Bleach ended. I still enjoy a lot of it with the new live action movie on Netflix. I figured to review it all in one blog. To me Bleach has been a spiritual successor to Yu Yu Hakusho despite different authors wrote both manga series. Bleach still deserves some respect for the stuff it did do right. Bleach had a solid beginning but a very poor ending arc. The actual ending was the best part of that arc I'm not kidding. Yes there's a lot of great action with some interesting concepts. Such as how it's like to be a soul reaper or how one could become a hollow. There's a lot of characters I like although some of them went down a lot in my book. The artwork did start very good but overall time it became not constant. I am not saying it was horrible you just can tell it isn't as well detailed. Some story points do get ignored like Aizen did show interest in using Orihime's powers. Sadly he didn't does moments like that might've led to such a disappointing story arc. I also like how the balance between worlds works. Some characters do become more interesting as the story goes on. Some parts of more recent story arcs felt a little rushed. To me the final story arc was very rushed to the point it really took away anything good that could've been a lot better. Honestly I do enjoy a lot of the character's weapons & abilities. In vice versa, it's no secret I really don't like quincies. If you seen the final story arc you will understand perfectly why. The concept of the Visored & Arrancars is very interesting. The fact Aizen created both of them since he wanted to become a god. Despite having an zanpakuto that manipulates all five of people's senses. Overall the first half of the manga is worth coming back to. I would say close to Aizen getting defeated is where you should stop reading. Unless you really have to see how bad it got. Trust me Yhwach is too broken with a stupid way of defeat that doesn't make any real sense. Although the art style change of the manga did affect the anime version. I would say the anime version is actually better for many reasons. Yes let's not ignore a lot of poor fillers that are simply pointless meant to waste your time beyond anything else. There are some great filler story arcs in this anime. They did a great job retelling what happened in the manga. There are some notable changes like Aizen in the manga manipulate the other three guardians got cut. I would say they had an amazing sound design for this. Some openings were better than others. I did watch many episodes both English and Japanese for a few years. Bleach anime does have some weird DVD releases that makes trying to own all of it a pain. Which does affect buying it digitally too. It is almost like they really don't want people to own the series. Bleach had some amazing visual effects. I do like how they went through the story. Yes some filler episodes took place when it wasn't possible due to what was going on in the manga. The voice acting is good enough with a great usage of colors at times. I can't say all the time for obvious reasons. There are also two OVA specials with one being a retelling of Grand Fisher that was awesome. The other OVA had someone became one with their zanpakuto. No the manga do not cover if this being possible at all. The first Bleach movie is also a confusing story to understand. If you already felt that way about Bleach then you probably wouldn't like this movie. Bleach: Memories of Nobody has a being that's actually part of the life stream that wasn't suppose to exist outside of it. A group of people want to attempt creating a new world by crushing the world of the living & the soul society. Before I go further, yes the manga does cover why their plan wasn't possible. It is because the moment it all fell, everything would be destroyed. Therefore their plan was trying to create a new world from destroying the old one. Which is oddly similar to what Yhwach attempted to do. There is some great action scenes. Basically the longer this particular character stays out of the balance aka the life stream. The more likely it all will be destroyed. She taken a form similar to a soul reaper. The ending is kinda weird in it's own way. I might recommend it if you are a fellow Bleach fan. Bleach: Memories of Nobody came out when the anime got great. The second Bleach movie dives into what would happen if two people shared the same zanpakuto. Soul reaper captain Hitsugaya and his friend were forced to kill each other. Sadly Central 46 decided Hitsugaya was worthy to have that zanpakuto to interrupt their fight killing his friend. Somehow through the artifact Hitsugaya and his lieutenant were protecting revived his friend. This is a crazy movie for even bringing someone back to life. The same guy became a lot bigger wanting a true fight with Hitsugaya. It is the law of all soul reapers that two shared the same zanpakuto. They must fight to the death being a close fight. 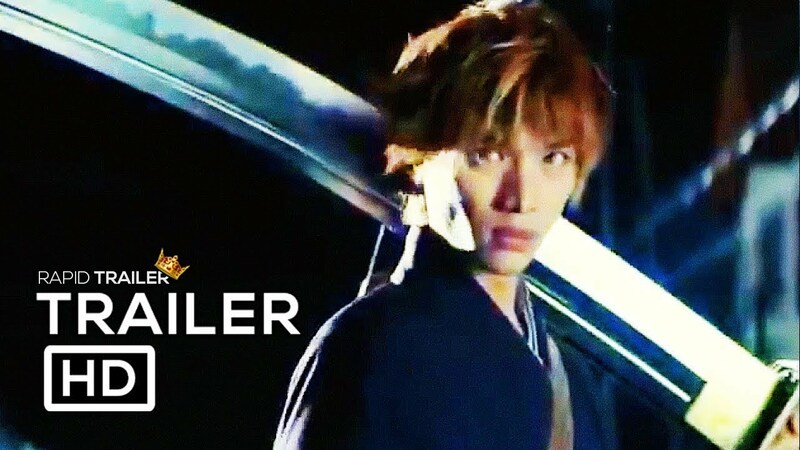 Yes it's no secret this movie centers heavily around one of the soul reaper captains instead of Ichigo. I would say this is one of my favorite Bleach movies. You have some crazy stuff that occurs you won't see anywhere else in all of Bleach. Yes Ichigo does appear a lot in this movie just not as much as majority of Bleach movies. I do like the animation which I felt was better than the previous movie. Although it is a real law in Bleach universe, this never happened at all in the canon. Two strange figures befriended Rukia a long time ago. They became sorta a weird hollow creature. They found a way to erase most soul reaper's minds while kidnapping Rukia. Yes her mind also got erased as well. OMG the music in this movie was great. 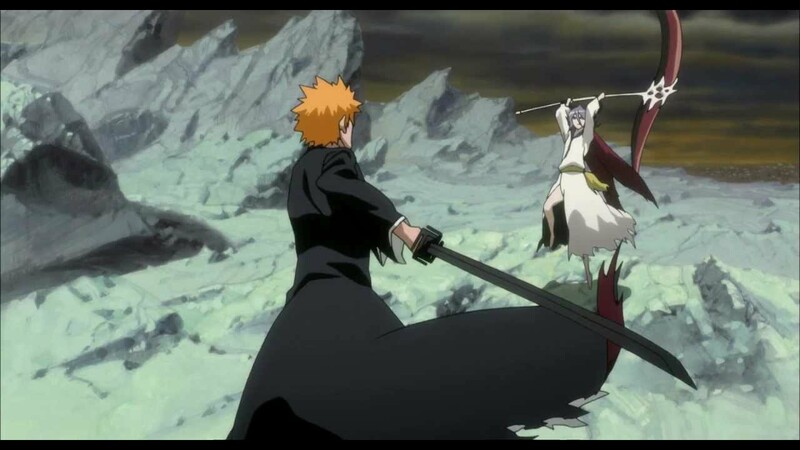 This has some crazy moments like a lot of soul reapers attacking Ichigo. Ichigo is the only person that remembers Rukia. Near the end those two fused with Rukia becoming Dark Rukia. Oddly if you seen her bankai there are some similarities between the two. There is one soul reaper with dual scythes attached to a long chain. Ichigo had to figure what he can on his own more than usual. Dark Rukia is one of the few fused Bleach characters in all the canons. I would say this movie plays on many things you love about Bleach. Honestly I am surprised how good this movie was. There also was some brief moments that could've changed the movie. For example when Ichigo was close of facing head captain himself. The visuals, art design and the sound track is very good. They don't talk much about Hell in Bleach. Thankfully you will see why after watching this movie. Ichigo with his friends had to go to Hell to rescue his sister. In the manga, only once the gates to Hell appeared. Oddly enough that hollow does return as a prisoner of Hell. Some filler episodes do tie in with this movie. Shortly after Hollow Ichigo defeated Ulquiorra. A group of Hell's prisoners decided to attempt getting Ichigo's attention. Eventually one of his sisters gets taken. However due to his hollow side, Ichigo has a difficult time coming himself in control. The big twist is the suppose leader of the group wasn't the one behind all of it. No that guy was with Ichigo the entire time. He tricks Ichigo transformating later on to break his chains. By this point hell guardians possessed Ichigo to deliver punishment worse than he already had. 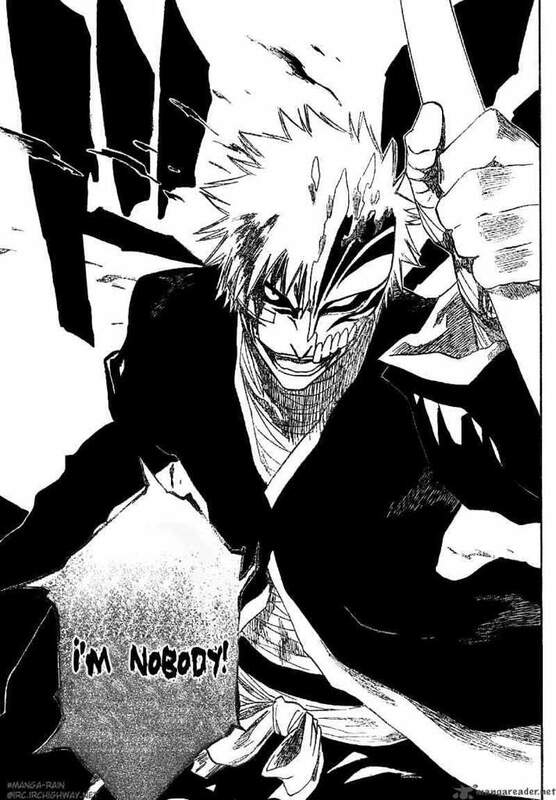 This appearance of Ichigo is one of my absolute favorites. The design of Hell itself was mind blowing. This movie is very good possibly one of my favorite anime movies of all time. Bleach: The Hell Verse also had the author involved. Which may or may not have the author of One Piece involved in some of the movies. Every minute is crazy enough to not being able to look away. I would say please go check this one out as soon as you can. Finally we get to the newest Bleach movie. To be honest I didn't think highly of it through some of the trailers. Also because stuff like live action Fullmetal Alchemist wasn't great. WOW I was so wrong about this movie. It is surprisingly a great retelling of the first major story arc from the manga. The audio department rivals Bleach: The Hell Verse I'm not kidding. Yes Rukia & Orihime may not look like their respective characters. Most characters are portrayed faithfully. I was very surprised how good the hollows looked in the movie. I only seen it in Japanese on Netflix very recently. The fight scenes were very well done. I haven't been this impressed since after watching all three live action Rurouni Kenshin movies. Maybe one day I'll review that franchise too. Back to Bleach, this nailed what I loved so much about Bleach. I don't think even with the changes to the story I had any real dislike. I got to be honest this was a great movie in every sense of the word. This made happier than I ever had been with the manga & anime versions. Bleach also building up to a sequel. If it is in the right hands I really want to see it. This movie is clearly similar to a couple comic book movies I watched growing up that still hold up today. I know a lot of people will ignore or over look it. Trust me you really should go in with an open mind. This movie does an amazing job pulling you in shortly after it begins.